But there are other openings on the board. Here’s a list of smart, independent-minded candidates who can fill them. Let’s be blunt. Barack Obama is still in denial about the sorry state of the economy, and so are both parties in the stalemated Congress. The government is consumed by wrong arguments about the wrong crisis, while the Federal Reserve keeps pointing out discreetly that the economy is still sick. Prosperity is not just around the corner. Obama has a way to break out of this mess. Instead of wrangling with know-nothing Republicans over how to cut spending and make things worse, the president should make his “grand bargain” with the Federal Reserve. Together, they can develop an aggressive agenda to stimulate job creation and create the new demand the stagnant economy needs. The president’s explicit support would give the Fed the political cover it needs to use its powers of money creation and directed lending for unusual intervention in the economy. The central bank created $3 trillion in new money to refloat the financial system. It should do something similar, but more modestly, to restore the real economy. It seems unlikely that Obama will make such a dramatic departure. A year ago, Fed chair Ben Bernanke began to explore some unorthodox interventions, but he ran into fierce attacks from the right and even resistance within the Federal Reserve System. He backed off when he realized the White House and Treasury would be cool, even hostile, to his initiative. But Obama might change his mind if economic conditions continue to grind people down. And progressive Democrats can rebel against Obama’s passivity—the president felt their sting when they fought his choice of Larry Summers as the new Fed chair. That fight is not over yet. As it happens, in the next few months, Obama will name up to five of the seven governors of the Federal Reserve Board. 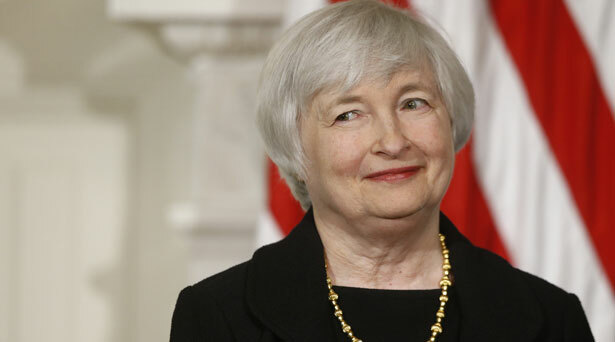 His choice to succeed Bernanke as chair is Janet Yellen, currently vice chair and a strong Bernanke ally. Yellen is a real pro—not a bomb thrower and moderately liberal, with the emphasis on “moderate.” If the Senate confirms Yellen, she would be the first woman to run the Fed in its 100-year history. In recent years, the Federal Reserve Board has been short on original thinkers who stray from conservative orthodoxy. The other openings present an opportunity for rank-and-file Democrats to promote fresh thinking. Wall Street interests lobby for their appointments; why shouldn’t progressives? In that spirit, here are some recommendations—smart, skillful and independent-minded people with promising ideas about retooling monetary policy. Adam Posen: President of the Peterson Institute for International Economics, Posen is an establishment insider, former economist at the New York Fed and a co-author with Ben Bernanke. During the crisis, he served on the monetary policy committee of the Bank of England, where he argued against austerity and for unorthodox lending programs to stimulate a stronger recovery. Jane D’Arista: A retired scholar of monetary economics, now active with Americans for Financial Reform, D’Arista’s recent essay “The US Central Bank at 100” is a disturbing chronicle of how the financial system came unwound and the central bank lost control over money and credit. The Fed, she says, owes people an explanation of how it intends to fix things. Ron Bloom: An investment banker and co-architect of the auto bailout, Bloom represents public sector retirees whose healthcare and pensions are threatened by Detroit’s bankruptcy. He also represents Fiat in its drive to buy back Chrysler shares from the UAW. Ray Carey: former CEO of ADT Corporation and author of Democratic Capitalism. After a long career managing companies, he has become an active advocate of reform, including worker ownership and the Fed itself. Robert Johnson: President of the Institute for New Economic Thinking, Johnson has been a junior economist at the Federal Reserve Board and, more recently, an investor and managing partner with George Soros. Now he leads an ambitious international search for new ideas for a new economy. These people are well versed in the circumstances that led to crisis and collapse. They learned some things that policy-makers did not grasp until too late. In fact, the dominant paradigm that Johnson and his thinkers at INET seek to replace is still pretty much in the saddle. Time to find some new faces. Last month, John Nichols wrote a blog post titled “The Populist Rebellion That Tripped Up Larry Summers,” about President Obama’s abortive attempt to appoint the former Treasury secretary to head the Federal Reserve.